Quick and Easy Pizza Bagels Recipe - The Co.
Co-It-All: Is my pastel hair ruining my chances of getting a real job? My absolute favorite part of back-to-school is making my kids lunches! Not only do I find it relaxing to sit and come up with ideas of what to put in their lunches and get as creative as I want it gives me time at night to unwind, and be by myself and reflect. So making my kids lunches the night before school is something I look forward to every summer when its coming to a close. I love trying to make different, fun and filling lunches for my kids while also making sure they stay more on the healthy side than junky side. There is nothing worse than filling their little busy bellies up with sugar, when they need to be focused and learning all day so I enjoy doing bento style lunches with a mix of protein, fruit and veggies. I also love being creative and instead of sending sandwiches make things like pizza, roll ups, sushi, and a mix of salads and pastas! Our school doesn’t start here until September 6th (our last day was June 28th, we go Sept-June here) so I have some time to think and be creative! One thing my kids love though, and I cannot wait to do is get creative with pizzas! My kids LOVE pizza, and it changes it up from sandwiches (although I’m looking forward to fun sushi sandwiches too!) these will be a huge hit in their lunch boxes – and they are really easy to make! Plus you can make quite a few at a time, I’ve even pre-made and frozen some before too. Works well. 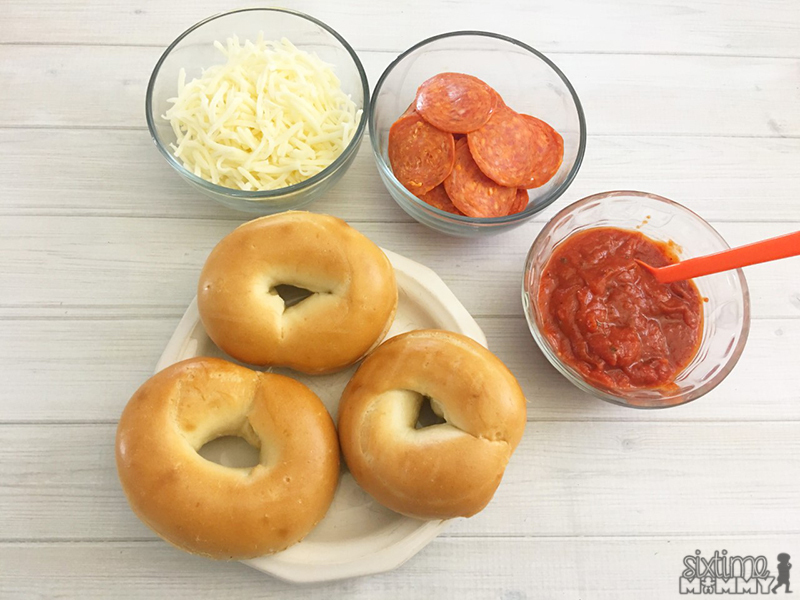 This is an excerpt from the article Quick and Easy Pizza Bagels Recipe which originally appeared on http://sixtimemommy.com/.